Summertime is ebbing with the passing of the days. The leaves are disappearing from the trees and the incoming rain is increasing as October rears its autumnal head. And you’ve not even found the time to fit in a summer holiday! Indeed, the nine-to-five lifestyle has swallowed your summer whole, as though you were stuck in the belly of a whale. Specifically a whale that made you do a heck of a lot of admin. But it’s time to tickle the roof of that worker whale’s mouth and hitch a ride to some far flung destination. Indeed, that’s exactly what we’ve done. Using Scotland’s capital city as our base of operations, we’ve parked our car for an Edinburgh Airport short stay, bought some tickets from Edinburgh Airport and flown to a variety of paradises – all to report back to you, of course. So what did we find on our journey? The home of vice, red lights and legal narcotics, we’re all aware of Amsterdam’s less savoury attractions. But beyond the hash brownies and wild nightclubs is a chilled out city of culture that’s bursting with fantastic museums, walkways and canals. For a start, why not visit the Anne Frank Museum for a sombre period of reflection. The museum, located in the house where Frank and her family hid from Nazi forces, provides a history of World War Two and the struggles of the Jews during a sobering period of human history. 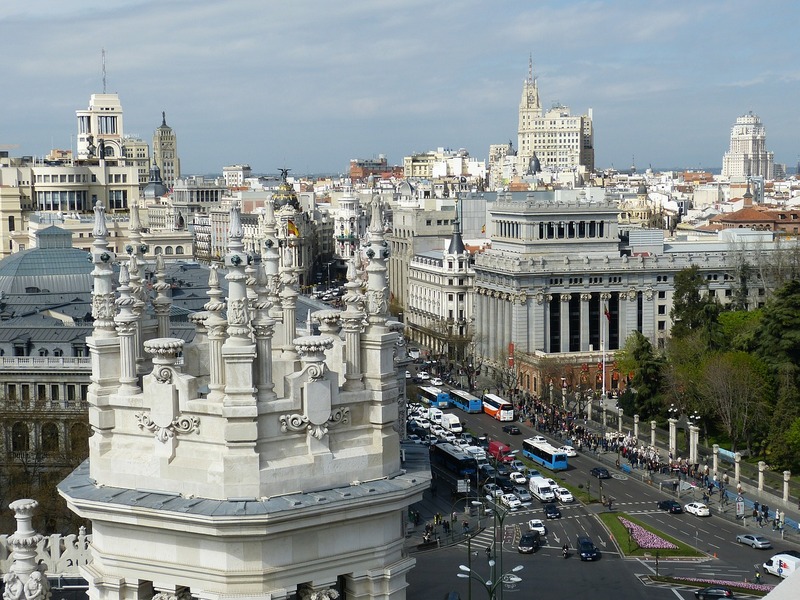 Spain’s central capital, Madrid is the beating heart of culture in this sun-filled country. The Royal Palace of Madrid, for instance, is home to the royal family of Spain. There you’ll find official ceremonies and all the pomp and circumstance you could ever want. For a more artsy experience, try the Museum of Lázaro Galdiano, which houses the collection of the titular art aficionado. You’ll be able to enjoy classical works that give you a greater understanding of the capital you’ve grown to love. The Big Apple! A place that barely needs an introduction, New York is the home to every television show you ever loved. Rising steam from sewer drains buttressed by bustling sidewalks and massive tellies in Times Square – New York is an icon in itself. Take a walk through Central Park and you’ll be welcomed by every element of the city, and follow your walk with a journey to the Statue of Liberty. Even non-US citizens will be filled with a patriotic pride.